“No, sir,” was her response. It came as a surprise to her at the time because she’d always believed she wasn’t very good at math. But it was a moment that stuck with her later in life – one that she can point to now as why she would become a math teacher. Decades later, she wants to have that same kind of lasting impact on a child’s life. 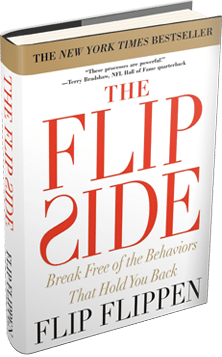 That’s the trademarked phrase from Flip Flippen, an educator, psychotherapist and business coach who founded the Flippen Group, based out of College Station, which puts on the Capturing Kids’ Hearts training not only in Texas, but around the country and internationally. The skills taught in the training are not only applicable to an educational setting but in the corporate world and in people’s personal lives. Those involved in the training learn strategies to use in the classroom, such as greeting students at the door with a handshake, developing a social contract with students that acts as an “agreement for behavior” in the classroom as well as other techniques that show teachers how to deal with behavior, communicate, empower students and build relationships with students, other teachers and adults. They also learn how to discipline using a non-confrontational model. Most of the teachers who received the training this week are new to TISD, although some, such as Ms. Davis, are returning teachers hearing the message of “Capturing Kids’ Hearts” for the first time. This is the first year that new teachers to the district will have the three-day training before going into the classroom. The training is something being offered for employees district wide, not only just to teachers, but to central administration staff members, bus drivers, food service workers and secretaries. Ms. Tunnell said this is the third year the district has offered the training. “We hope that they (teachers and other employees) understand that the expectation is not just on high test scores, but making a difference in the students’ lives, that our job is to help them develop into responsible, productive citizens and realize that their strengths don’t necessarily just lie in a test score, but it’s about their character,” Ms. Tunnell said. And she said it’s not another program – but rather life processes. Corinna Greb, a new teacher to TISD, said she’s seen these processes work in classrooms. Part of what the training shows participants is that to reach a child, teachers have to identify their needs. She said they also must individualize instruction to make lessons relevant to students. While she knows there is a need to focus on testing, there’s more to teaching than just that, she said. “These are the people who are going to run society in a few years, and what are we teaching them,” she said. That high school teacher Ms. Davis met decades ago, who is now deceased, lives on because of the impact he made on her life, she said. “That was over 30 years ago, but I still remember him. And I tell my kids about him. His legacy is living on. That’s the kind of teacher I want to be. That’s why I’m excited about this.